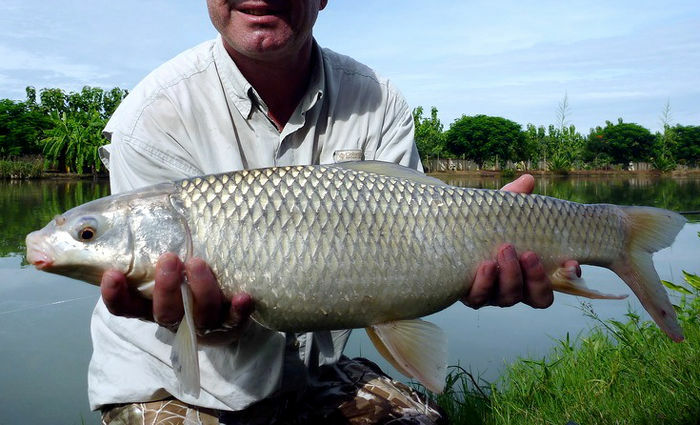 The Small Scale Mud Carp is is another one where we have had the IGFA World Record broken with fish caught from here (albeit without the lake being named directly in the record claim, just referring to a Chiang Mai lake). In fact multiple claims have been made from here for this species, at increasing weights. There are a good head of these in the lake with multiple catches by anglers being quite common. They are another case where if you catch one you might just catch a dozen!